In the "Where Are They Now?" category of feature stories, standing on the podium holding a silver medal has to be right up there near the top. And that's exactly where Heath Calhoun found himself last Friday, March 14, at the Paralympic Winter Games in Sochi, Russia. 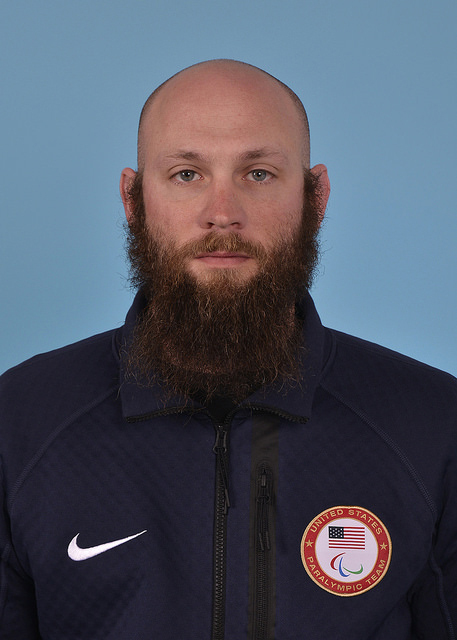 Calhoun, a Paralympic alpine skier, won a silver medal in the super-combined event during this year's Winter Games in Sochi. He also finished fourth in the super-G and sixth in the giant slalom. You may have been introduced to Calhoun back in 2010, when Mayo Clinic's Medical Edge TV did a feature story on him and his work with Mayo Clinic researchers, testing computerized prosthetics and helping them improve the devices, and helping people whose injuries make it difficult to use them. That year he also competed in the Vancouver Paralympic Winter Games, placing eighth in the super-G and 10th in the super-combined. Calhoun was serving in Iraq in 2003, when a rocket-propelled grenade ripped through the truck he was riding in, blowing off both of his legs above the knees. Computerized prosthetics helped him walk again, and he then teamed up with researchers at Mayo Clinic to help make them even better. "It's very, very important to me to be able to get back to life," he said at the time. He was giving his time to test advanced prosthetics to help others get up and get back into life, as well, he said. Read more about Calhoun and his work as an advocate for wounded soldiers. Then shoosh on down the the comments section and share your thoughts.